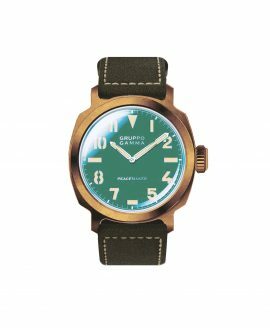 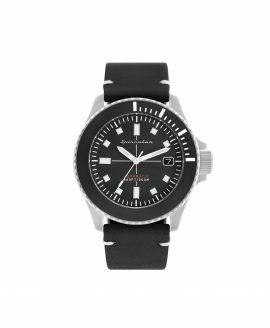 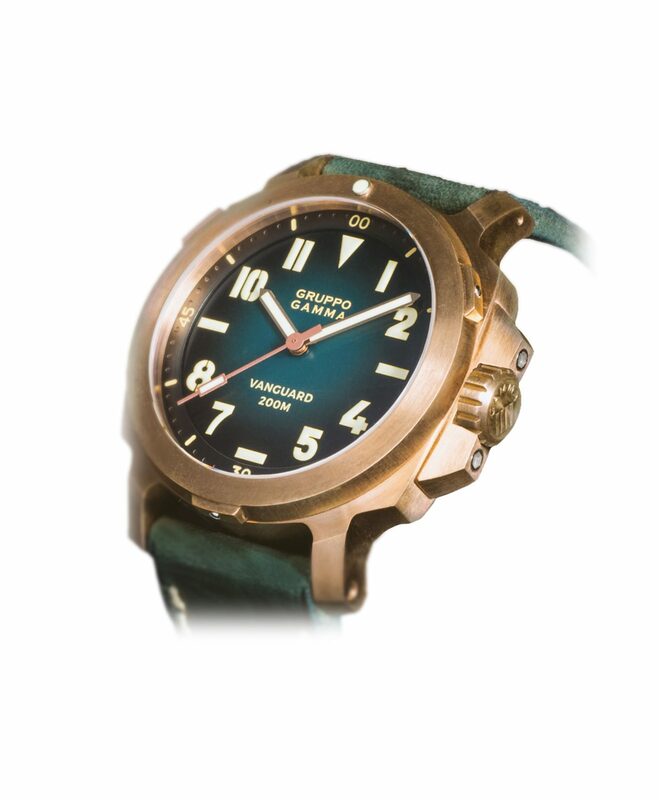 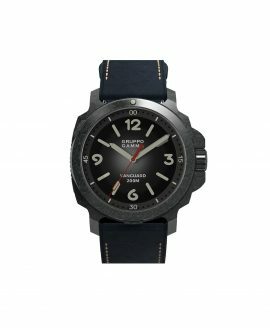 Gruppo Gamma’s Vanguard seeks to revive the famous Italian design of military divers’ watches. 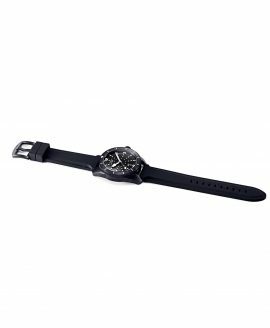 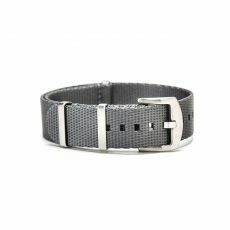 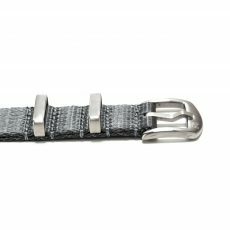 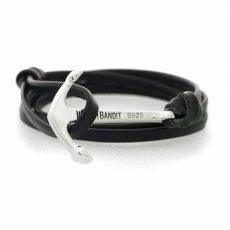 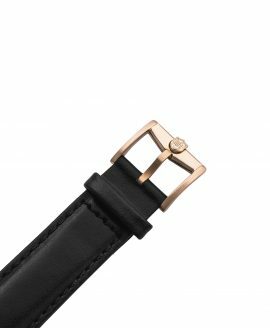 The watch comes on the Italian premium leather bracelet by Simona Di Stefano, handmade in Florence and can also be combined with WatchBandit original watch straps. 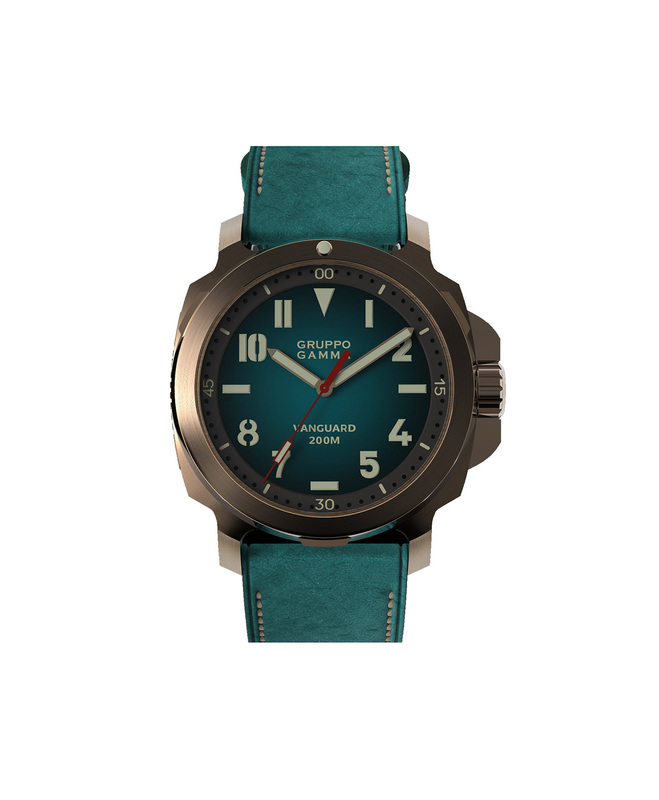 The dial with thick printed markers with Swiss Super-LumiNova® C3 ensures a good readability in the dark. 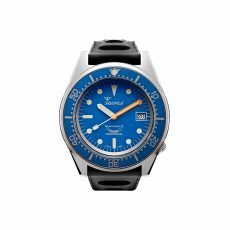 Bolt on crown guards and a 120-click unidirectional rotatable bezel makes it a true diver. 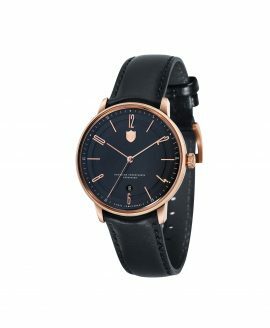 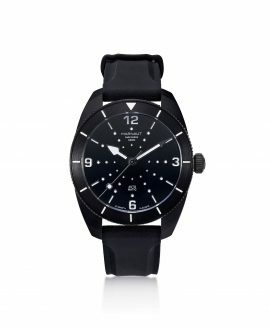 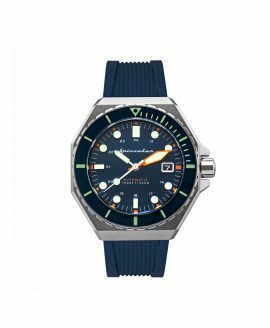 The watch features a sapphire crystal with underside anti-reflective coating, stainless steel and sapphire exhibition caseback and a twin screw lock crown.